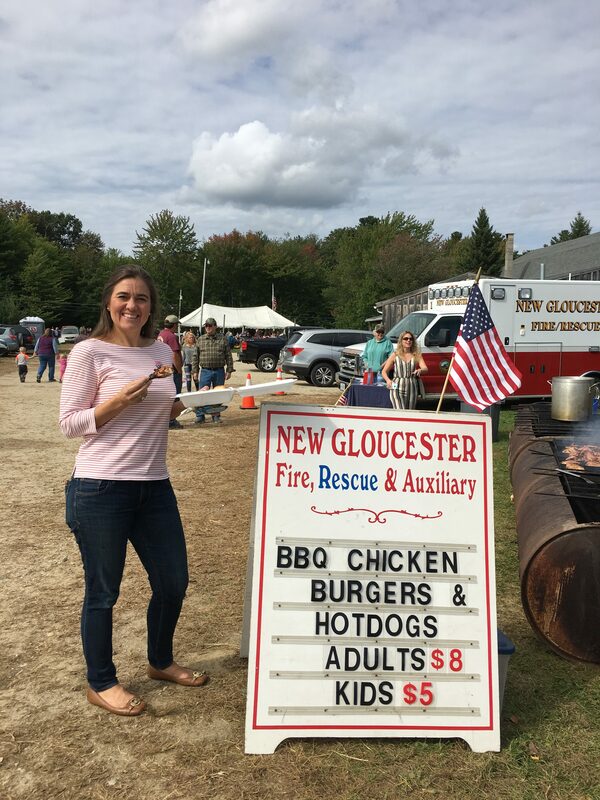 The New Gloucester Fire and Rescue hosted their annual barbecue at Thompsons’ Orchards on September 30th. A fundraiser for the NGFR, they hoped to clear $1,000 for various needs and projects. The weather was perfect and many stopped to enjoy chicken, burgers and hot dogs. Gray Stop and Shop and an anonymous donor helped support this cause. 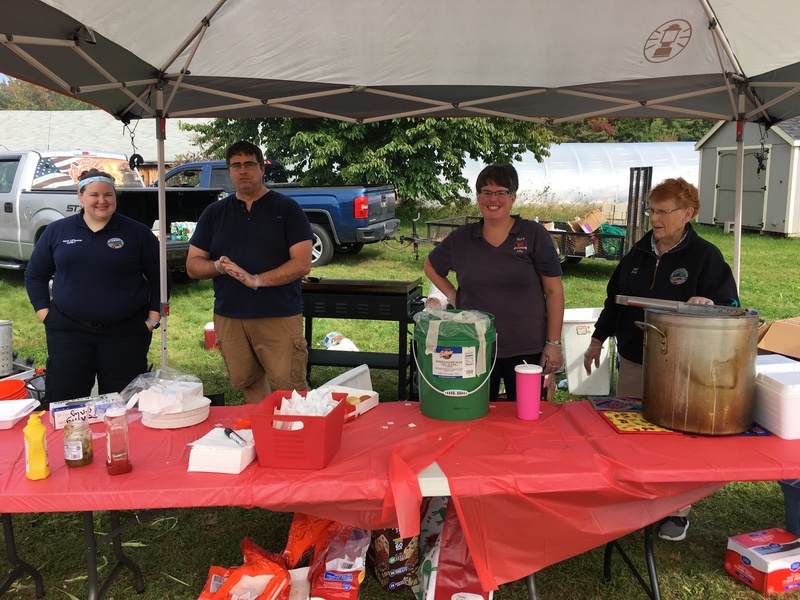 NGFR members Alicia LaFlamme (Advanced EMT), Jared Schwartz (Firefighter/EMT) and Auxiliary members Amy Carman and Avis Ford serve a delicious BBQ lunch at Thompsons on Sept. 30, 2018. Not shown: George Carman, Tim Joy and Peter Culver. Misty Coolidge is ready to enjoy her lunch at the NGFR BBQ. September 30, 2018. 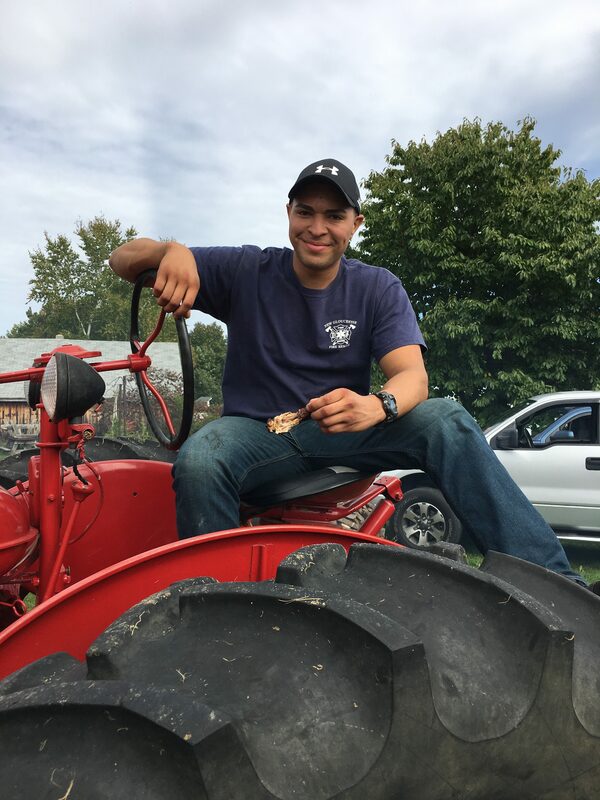 Interior firefighter Peter Culver takes a break at the NGFR BBQ. 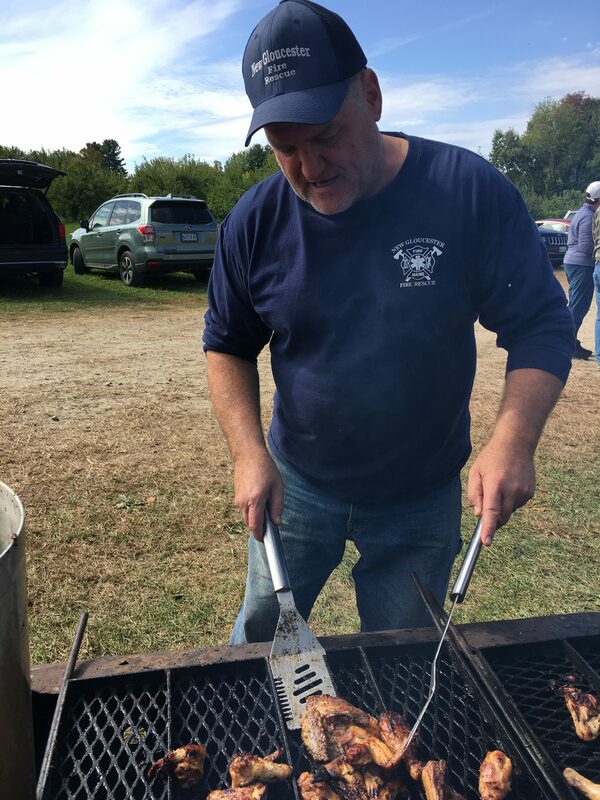 Tim Joy barbecues chicken at the 2018 NGFR BBQ. See these videos on NGX’s new YouTube channel.